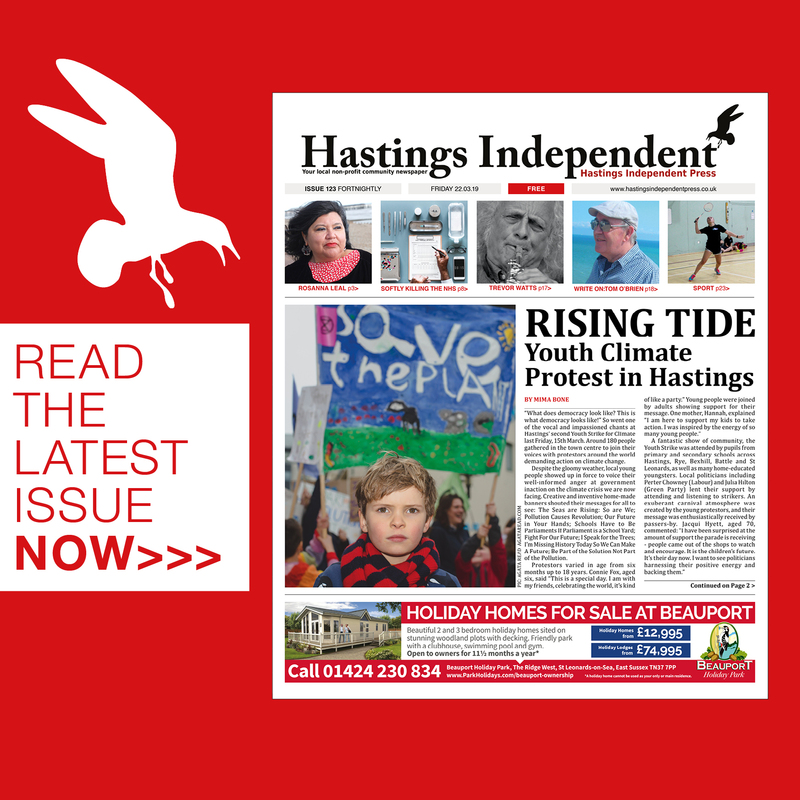 If Hastings prides itself on welcoming incomers, that friendly reception does not extend to the cricket pitch at Horntye. 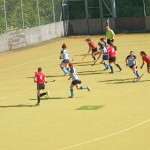 Last summer the Priory club won eight out of nine home fixtures there in the second division of the Sussex League to gain promotion. This season, up in the top league, home supremacy has continued unabated: three victories have been achieved by crushing margins with the fourth game well on the way to a similar result when rain caused abandonment. No visiting team has scored more than 131 runs in an innings, no individual batsman more than 38. 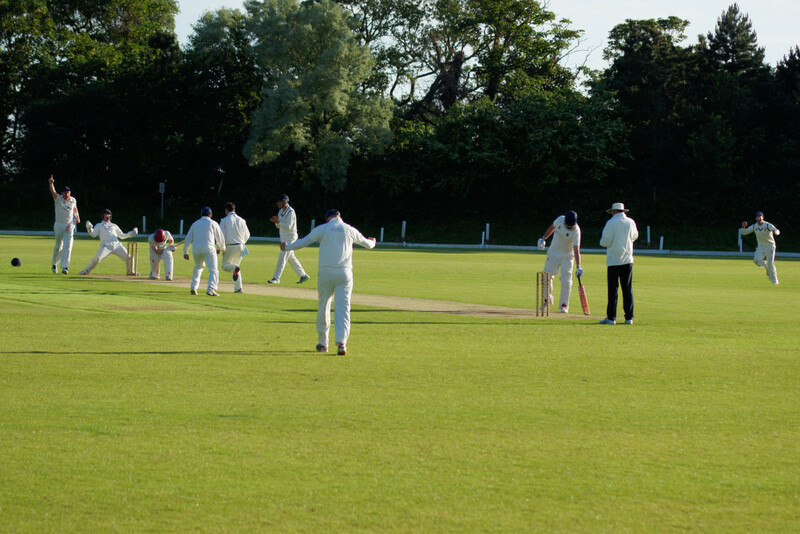 Latest victims Preston Nomads, riding high in the league before the game, were bowled out for 95 after Priory had reached 183 for 7. 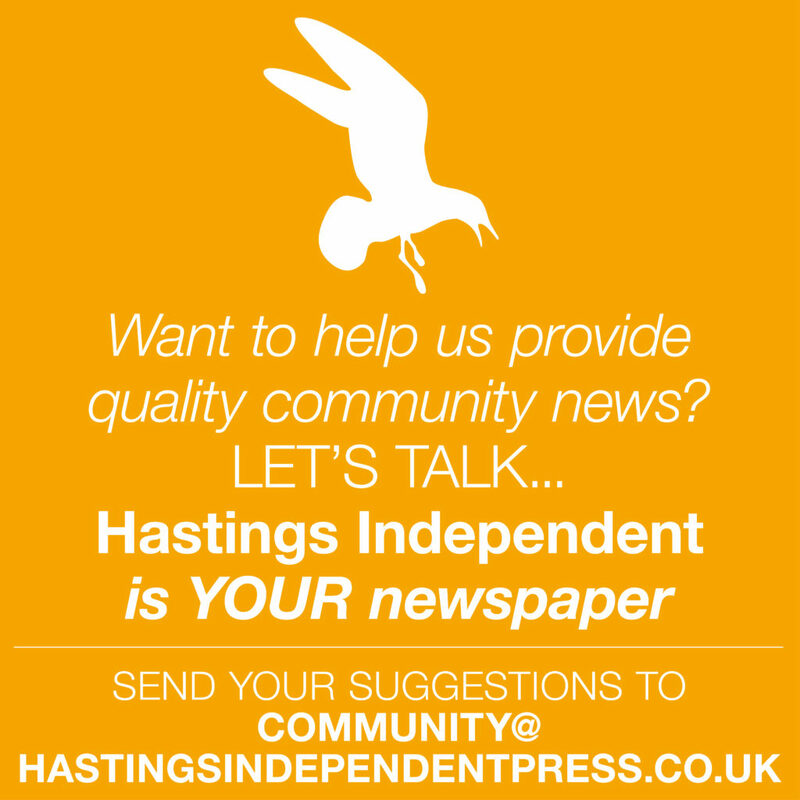 The Hastings team bats deep with players up and down the order capable of contributing significant scores. 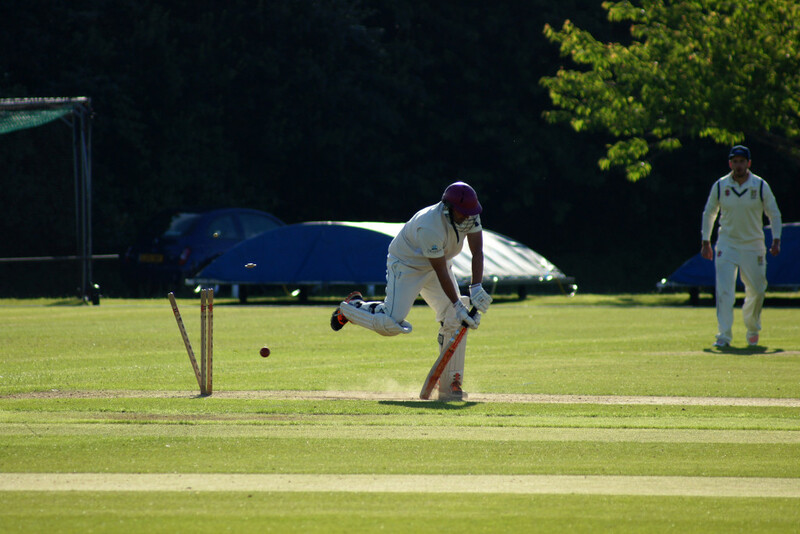 Captain Tom Gillespie scored a century against Billingshurst, other home 50s have been notched by James Pooley, Joshua Hahnei, Elliott Hooper and Harry Scowen. But, as highlighted in this column back in May, it is the youthful trio of left-arm bowlers who are proving effective match-winners – Adam Barton, barely 21, and Jed O’Brien and Elliott Hooper, even younger (apologies to Elliott for attributing an age of 23 previously). 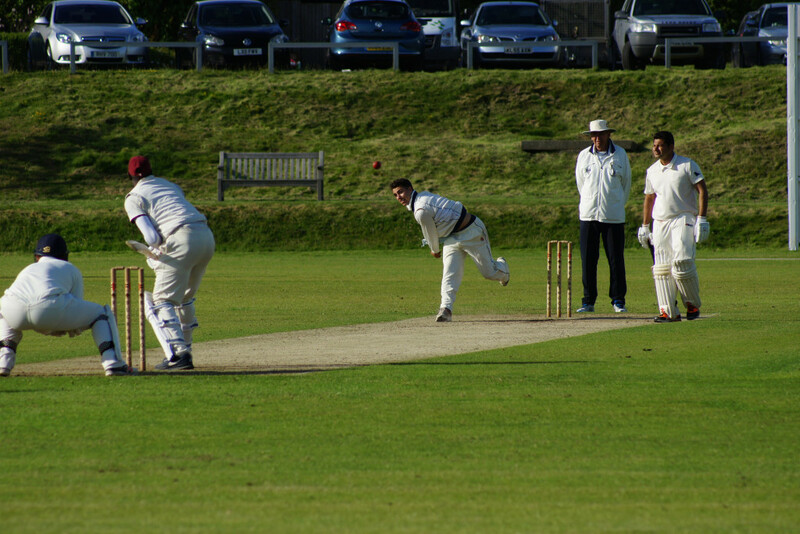 Adam, tall and fast, sends stumps flying on a regular basis – see accompanying pictures; Elliott, with a tidy bowling action to go with his stylish batting, restricts scoring to the minimum with his accurate spinners on a length; while Jed seems to offer a different mode of delivery for each ball of each over – fast or floated, top-spun or turning either way – bamboozling one batsman after another to misread line, length or bounce and find his afternoon’s batting prematurely ended. It’s a joy to watch from the sidelines at Horntye and, on the basis of the Priory team’s manifest enthusiasm in the field, pretty entertaining out there too. Away from Hastings it has been a different story. 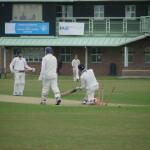 This column is being written before last Saturday’s match at Bexhill, which may change things, but so far four league matches on the road and an ECB National knock-out contest have yet to produce a Priory victory. Only Elliott has scored a 50 in these matches, and the bowlers too have found wickets much harder to come by. Club chairman and senior all-rounder John Morgan puts the discrepancy down to difficulties with assessment of pitches away from home. “Here we know the pitch and the ground dimensions and how to quickly assess the type of wicket we are playing on. Probably our downfall away is the assessment of wickets that may be slightly foreign to us. 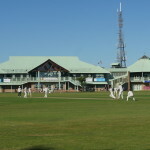 That will come with experience of our young side.” But he also relishes the reputation which the Priory bowlers are gaining at Horntye: “it’s a real positive that we are making our home ground a difficult place for opponents to come to”. 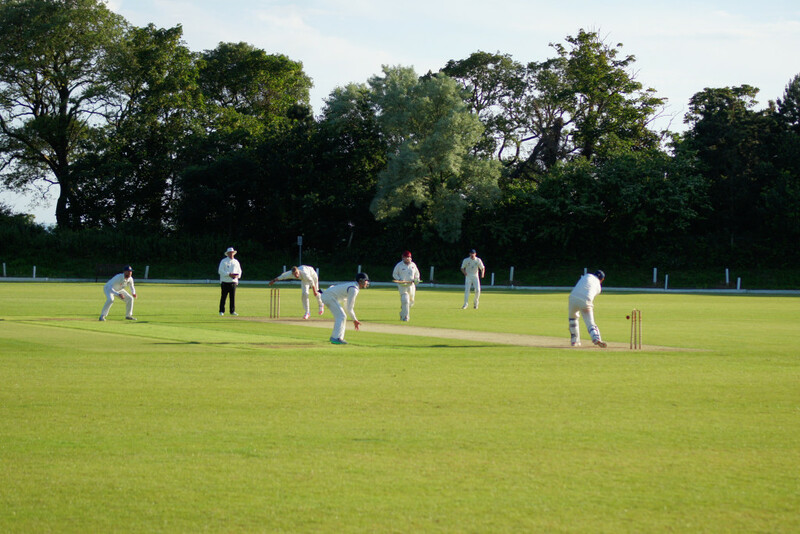 Next home game is not until Saturday 16 July when Roffey, another side challenging at the top end of the league, come to call. 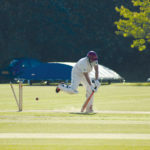 Priory lost to them unluckily by just one wicket at their Horsham ground in May and will be confident that home advantage will bring about a reversal of fortunes. It should be good to watch. « Well blow me down!